Kripalu yoga is an integrated system of self-transformation that empowers you to realize your full potential. The journey begins as you revitalize the body through postures, breathing exercises and relaxation techniques. It deepens as you learn to focus awareness, enabling you to enter meditative states that awaken compassion and clear the mind. Through the practice of Kripalu Yoga, you discover how to nurture the roots of health, catalyze personal growth, live with greater skillfulness and joy, and transform your sense of what it means to be alive. Kripalu Yoga is designed to adapt to all body types, ages, fitness levels, and interests. It unites the body & mind, increases strength, improves flexibility, enhances balance, and calms the mind, emphasizing that students always listen to the wisdom of their own body. It allows you to choose the level of physical intensity that is right for you. Taking what is learned “off the mat” and into daily life. Kripalu yoga is named for Swami Kripalu who taught yoga as a way of living that encompasses all expressions of life and encourages embracing truth from moment to moment. Renowned in India for his love of God, service to humanity and mastery of yoga, this modern-day saint was an accomplished scholar and musician who maintained a schedule of 10 hours of meditation a day for thirty years. His teachings flowed from a tremendous depth of spiritual experience. Swami Kripalu (affectionately called Bapuji) encouraged his students to practice on and off the mat and enter into a compassionate and authentic relationship with their self. For the dedicated yogi, Kripalu yoga awakens a curiosity about life, and is an invitation to start a journey of inquiry into the expression of prana, or life force. When the practice is deepened, the witness consciousness is heightened and so is the ability live with ease, grace and compassion. 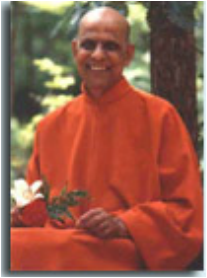 Swami Kripalu's student Amrit Desai came from India in the 1960's and founded an ashram on the east coast. In 1983, yogi Desai and a dedicated group of his students founded the the Kripalu Yoga Center in Stockbridge, Massachusetts. Today the Kripalu Yoga Center is the largest yoga retreat center in the country and is host to renowned speakers, teachers and presenters from all over the world. Most types of yoga practiced in the west have been shown to be highly effective in working with the physical body. This is much of the reason for yoga's immense popularity. Kripalu yoga uses the physical body and yoga's benefits as a vehicle for affecting mental clarity, inner wisdom, spiritual abundance and emotional stability. The word Kripalu means compassion. In Kripalu classes, teachers encourage students to listen to their own bodies as they are guided through a series of asanas (postures), pranayama (breathwork) and meditation. Kripalu yoga uses smooth transitions and proper alignment principles informed by an in-depth understanding of anatomy to help students learn body awareness. This style of yoga can be practiced at any level, from gentle and restorative, to dynamic classes that will take you to your physical edge.